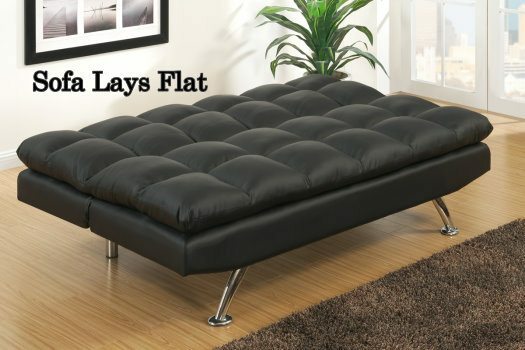 By: Bobkona- F7013 | F7014 - Black Adjustable Sofa Bed & Chair Set - Can become a sectional!! 2 Pc. Set: Price is for Sofa (F7013) & Chair (F7014) - Can do both configurations seen in picture. 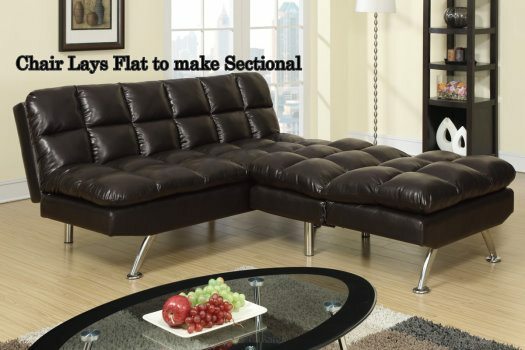 A collection of fine contemporary designed adjustable sofa and chair, this sofa set features seating constructed with contoured square patterns in cream faux leather. Each piece features a multidimensional visual provocative presence.